READY TO SHIP 7/8 (22mm) Yellowheart Sun Cutout Wooden Plugs - Nature Lover - Premade Gauges Ship Within 1 Business Day! READY TO SHIP 7/8" (22mm) Yellowheart Sun Cutout Wooden Plugs - Nature Lover - Premade Gauges Ship Within 1 Business Day! 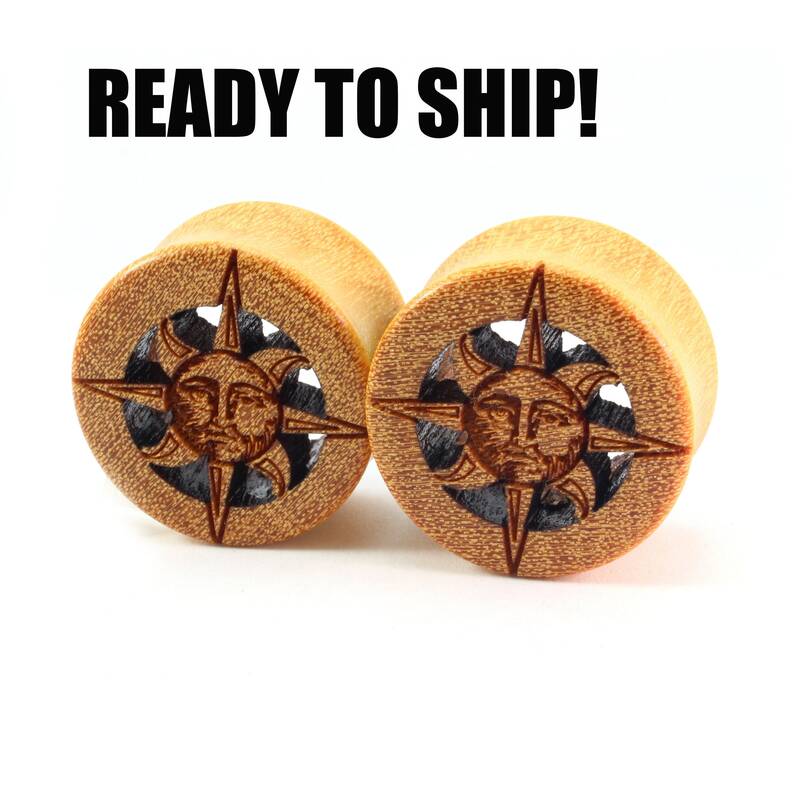 Sun Cutout Design Plugs made of Yellowheart wood in size 7/8" (22mm).